Compiled from several generations in America and from around the world, the songs and sheet music in this compendium were originally written in English, Danish, French, German, Italian, Spanish, Russian and Yiddish. 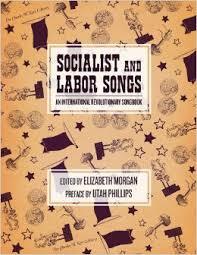 From Industrial Workers of the World anthems such as “The Preacher and the Slave” to Lenin’s favorite 1905 revolutionary anthem “Whirlwinds of Danger,” many of the world’s greatest radical songwriters are anthologized herein: Edith Berkowitz, Bertolt Brecht, Ralph Chaplin, James Connolly, Havelock Ellis, Emily Fine, Arturo Giovaniti, Joe Hill, Langston Hughes, William Morris, James Oppenheim, Teresina Rowell, Anna Spencer, Maurice Sugar, and dozens more. Old favorites and hidden gems can once again energize and accompany picket lines, demonstrations, meetings, sit-ins, marches, and May Day parades. Categories: Böcker, Historia, Historia-Allmänt, Historia-Amerika, Historia-Europa, Historia-Folk i rörelse, Kultur (musik,sport,teater m.m), Musik. Tags: Elizabeth Morgan, Kampsånger, PM Press, Sångbok, socialism, Utah Phillips.